Welcome to the forest, a place of pure serenity that could be described as tranquil depending on who you were to ask. If you were to ask the gnomes that live in this forest then they might tell you that to them this is simply home. So now that you’re acquainted with this world, how’s about a wander into the trees? You might just come out with some cash. And with the thought of a progressive jackpot looming in the distance, it can be easy to see how people end up getting lost here when they try and play new online slot at Slotsbaby. 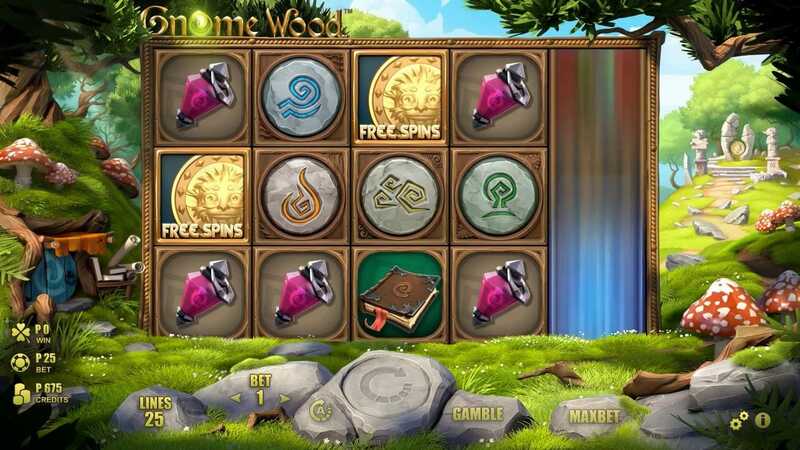 Gnome Wood is a 5 reel by 25 adjustable pay-line slot that is full of additional features for one to use in order to come out the other side rich. Bets on this game can be placed from as little as 0.25 to around 25.0 per spin, making the entry level for this slot quite spread out compared to other slots in the market. This is a cartoonish style 3D slot, where wins will cause the screen to react in a manner of different ways. Be sure to check out the rest of our review below to see if Gnome Wood is the right game for you! 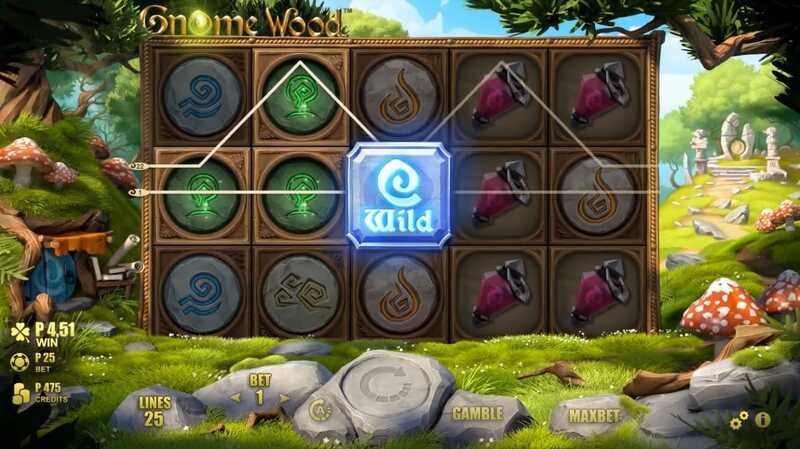 Or Spin to win on our online slots games page! Vienna based online slot developer Rabcat are quite unknown compared to that of their contemporaries. This does not mean that they aren’t as good, no no. Rabcat have been around since 2001 and have a very rich and storied history. The quality of games that Rabcat produces is second to none, these guys have made well over 500 games easily. All of these slots have found success in their own bubbles. Rabcat have a global reach and appeal, which is basically what every developer strives for. Just what will Rabcat produce next? Your guess is good as ours, but you just know that it will be good. Get promotions at online casino today! Gnome Wood is full of added features that are sure to get a rise out of any avid adventurer. The symbol you will be wanting to look out for on these reels is the golden coin, this coin is your entry into the progressive jackpot, a jackpot that will build constantly during standard play. This jackpot is capped, but compared to the other features here, it can be easy to see why it is so valuable. We should also state at this point that in order to unlock this jackpot, you will need to be playing with max stakes, that means you will need to be playing with 25 as your stake. Matching the gnome symbol himself will not only grant one 1,000 coins, but it will also trigger the wild symbol here. The wild will then substitute various symbols in a way that sees only to put more scatter symbols into the field. The scatter symbol is represented by the cheery sun that can be seen shining across the reels.